Meredith Farkas, the head of instructional services at the Portland State University Library, published a blog post this past summer that still has us asking ourselves questions about the most effective approach to information literacy programming. She focuses on the issue of reaching a larger percentage of students versus providing IL sessions of higher quality to a smaller percentage of students on campus, perhaps through for-credit courses. Meredith hits on a number of issues many academic librarians face when planning their IL efforts, while trying to balance reach versus depth of information literacy instruction. Many instruction librarians spend a large portion of their time focusing on their liaison areas. This can result in higher quality IL sessions because these students receive discipline-specific instruction that is more relevant and engaging for students. But this can also result in fewer students being reached because this approach is labor-intensive. Librarians spend time and effort establishing those relationships with faculty, working with faculty to find room in the curriculum, and tailoring instruction to specific small-enrollment courses. For many institutions, there are too few librarians to apply this model with all academic departments. The number of staff available to teach IL sessions is another barrier to balancing reach and quality. Meredith writes, “…with our staffing, it would be an either/or proposition; either focus on instruction in your liaison areas or focus on teaching credit classes.” Large populations of students on campus require a trade-off because there are simply not enough staff to handle regular tasks and run IL sessions for every class or program. Many academic librarians have strong relationships in place with faculty in their liaison departments. One barrier to transforming the information literacy program at your university could be convincing academic librarians to make a change that could mean moving away from the relationships they have developed over the years. Every academic library has different opportunities to engage with students. The number of opportunities you currently have or could develop in the future plays a role in the nature of your IL program. Freshmen orientations, summer sessions, and introductory courses provide opportunities for academic librarians to reach many students. The timing of these interactions also allow for a larger focus on quality IL sessions throughout the rest of the school year. How much flexibility do you have with faculty and their curricula? Your answer to this question would determine if creating opportunities within departments would allow for high quality IL sessions. One idea is to create an information literacy lab to run in conjunction with specific courses already established. One opportunity for increasing the reach of your IL instruction is creating online resources to feature on your academic library website. Though these resources are available to all students, the quality of instruction is reduced as students are not directly engaging with an academic librarian. Are you thinking yet? Meredith’s article has us, here at Project SAILS, working through how we can help academic librarians realize both depth and breadth with their instruction. There are many challenges for information literacy programming in our colleges and universities, but sorting through these issues to find the most effective solution for your particular situation will make a world of difference in the lives of the students on your campus. How can your school achieve both reach and depth with your IL instruction? What changes need to be made to utilize the staff you have in the most beneficial way? What opportunities should be pursued? And most importantly – what affect will these changes have on the future of your students? We hope you wrestle through these questions with your colleagues and be sure to read the entire “Broad vs. Deep In Information Literacy Instruction” article. How Can SAILS Determine Information Literacy? In October, we wrote a blog post about how we define information literacy at Project SAILS. We wanted to follow-up that post and discuss what we think it means to be information literate. We agree with the standards and definitions Association of College and Research Libraries (ACRL) has laid out for information literacy, which is the reason we chose to base our test items off the ACRL information literacy standards. ACRL has also developed a set of performance indicators and outcomes that tie into each of its five standards. These indicators and outcomes give a clear indication of whether a student is defined as being information literate or in need of additional information literacy instruction. Those institutions testing their students with our cohort assessment of information literacy receive a report with results broken out by ACRL standard and by a unique grouping of eight skill sets. We created the Project SAILS skills sets by regrouping the ACRL standards, performance indicators, outcomes, and objectives. The re-grouped skill sets give institutions a clearer picture of the specific skill(s) students are struggling most with, giving faculty and academic librarians the ability to tailor IL instruction to the specific needs of their students. Our hope is that by forming these skill sets, the data you receive is more practical because you are able to easily identify and target the weakest skill areas, such as developing a research strategy, retrieving sources, evaluating sources, and so on. To see examples of the test reporting based on ACRL standards and our skill sets, download a sample report. These performance measures are provided in order to give test administrators context for the scores of their students and to indicate whether a student is information literate. The skill sets used for the cohort assessment are unavailable for the individual assessment because there are not enough data with a single student or even a single class. Want more information about what the reporting looks like? Click to see a sample report for our individual assessment of information. Both of our information literacy test formats, individual and cohort, have been designed in order to provide you with a clear indication of the information literacy skills of your students, pinpoint the weak and strong areas, highlight growth following IL sessions with pre/post testing, and provide faculty and academic librarians with insights into the areas to focus your IL instruction around. Register today to test your students with the Project SAILS information literacy test! 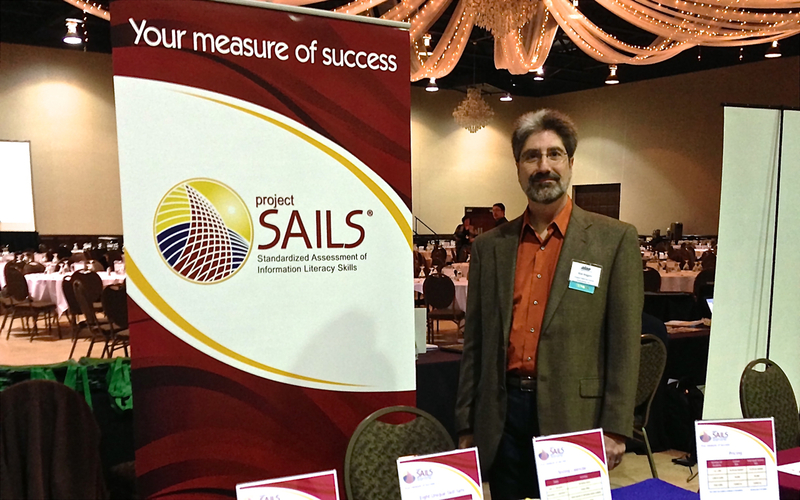 In October, we had the pleasure of attending the 2012 Annual ALAO Conference. It was great talking with fellow attendees at our booth and we enjoyed the empowering perspectives and ideas shared by the conference speakers. 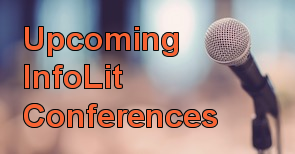 If you missed the conference but want to see some of what was talked about, see tweets from the conference, compiled by Meghan Frazer. Thanks, Meghan! Also, be sure to sign up for our monthly email newsletter full of valuable information for academic librarians, including our recent blog posts, helpful tips, and more! A recent report from a British consulting and training group examines how researchers find published scholarly articles. Scott McLemee wrote a good description of the report in Inside Higher Education. The report provides insights for librarians who often partner with classroom faculty to teach students information literacy skills. Do we need to understand faculty information seeking behavior? What is our obligation to help faculty stay information literate?